The winners of the 2016 Doug Wright Awards were presented on May 14 in Toronto, during the Toronto Comic Arts Festival. The Doug Wright Award for best book was presented to Michael DeForge for Dressing (Koyama Press), a collection of mini-comics and zines. 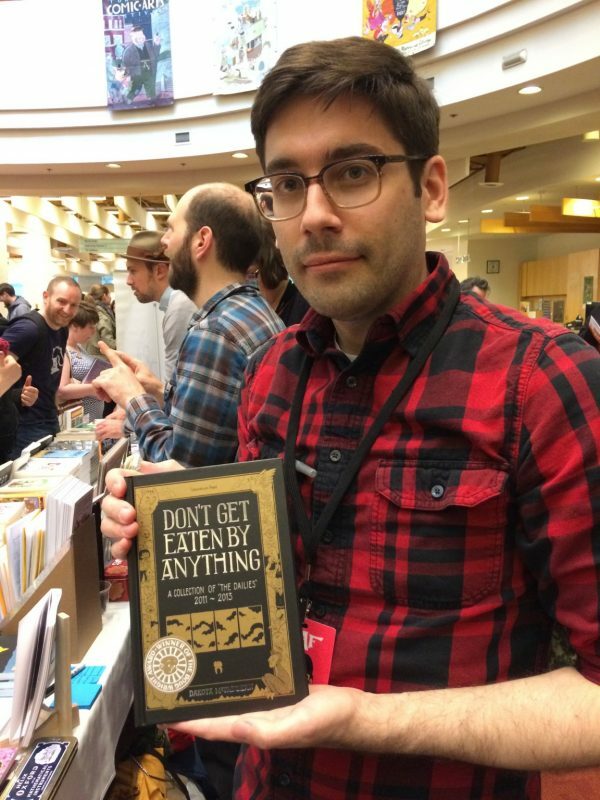 The Doug Wright Spotlight Award, also known as the Nipper, was awarded to Dakota McFadzean for Don’t Get Eaten By Anything (Conundrum Press), a collection of daily diary comics. Also presented was the Pigskin Peters Award, given to experimental, non-traditional, or avant-garde comics. This year’s winner was Patrick Kyle for his self-published New Comics Nos. 6 and 7. Cartoonist Seth gave a tribute to James Simpkins, who was posthumously induced into the Wright Awards’ Giants of the North hall of fame. Simpkins is best known for his comic Jasper, featuring a playful, trouble-making bear, which ran in Maclean’s and newspaper comic pages for more than two decades combined. The emotional evening also featured two other tributes to members of the comic community who died in the past year: writer and critic Jett Heer gave a remembrance of comic publisher Alvin Buenaventura, while Seth gave a moving and personal speech to artist and writer Darwyn Cooke, whose death was announced that morning. The Doug Wright Awards, founded in 2004, are presented annually to recognize English-language comics and graphic novels by both established and up-and-coming creators.